I have been pondering what makes a great character who propels a book to best seller status. The answer is simple. I'm just shaking my head at how I could have missed it. I will warn you it takes a lot of thought, dedication and imagination. The character that comes to mind is Sue Grafton's Kinsey Millhone. Through this series the readers know Kinsey as if she were a friend. They know her physical appearance, her attitudes, her job, her background, and her family history. Kinsey is a real person; only she isn't. You see what I'm getting at? She is someone a reader enjoys spending time with. Just so you can see clearly my point, read Kinsey's bio. You'll swear you're reading about a living, breathing person. This description is from the awesome Wikipedia. Kinsey Millhone was born on May 5, 1950. Her unusual first name was the maiden name of her mother, wealthy debutante Rita Cynthia Kinsey, who married Kinsey's father, Randy Millhone, against the wishes of Kinsey's grandmother, Cornelia LaGrand Kinsey (Grand), causing a family rift. Kinsey's parents were killed in a car wreck when she was five; Kinsey was trapped in the car with her dead parents for several hours before she was rescued. She then moved in with her mother's sister Virginia (Aunt Gin), the only relative to side with Rita in the family rift, although Kinsey later finds out her parents were en route to a bridge-building family visit when the accident occurred. From her Aunt Gin, Kinsey acquired various eccentricities, including a liking for peanut-butter and pickle sandwiches. In high school, Kinsey was a self-described pot-smoking delinquent. After three semesters at the local community college she realized that academic life was not for her and she joined the Santa Teresa police force. 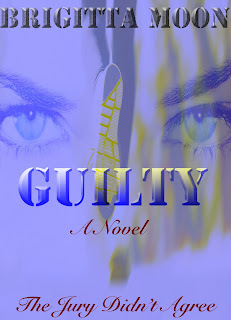 After two years, Kinsey decided life in uniform wasn't for her, either, and quit the police force to become an investigator for California Fidelity, an insurance company, where Aunt Gin had worked. Eventually, she became a self-employed private investigator, initially mentored by local PI Benjamin Byrd, who had been a partner of another local PI, Morley Shine, before striking out on her own, solving various disappearances and murders, clearing names and dodging hitmen. For some years she maintained a loose relationship with CFI, then rented premises in the offices of her lawyer, Lonnie Kingman, before renting independent office space in later years. She has an antagonistic relationship with local policeman Con Dolan, although this mellowed into a reasonably amicable truce after Dolan's retirement and they have co-operated on more than one recent case. Kinsey is 5'6" tall, and weighs about 118 pounds. She has short, dark, thick hair that she trims with nail scissors, being generally uninterested in her physical appearance. She is, however, very particular about her teeth, and even mentions other people's good teeth (especially men to whom she might be attracted). Her wardrobe consists mostly of jeans and turtleneck sweaters, though she also owns an extremely wrinkle-resistant "little black dress" for those occasions when dressing up is unavoidable. She does, however, place a great premium on physical fitness and jogs three miles every weekday. At the same time, she has a "penchant for junk food." She also suffers from tinnitus, caused when she shot an attacker from inside a trash can. Kinsey has been divorced twice. Her first husband, Mickey, an ex-cop, appears in O is for Outlaw and her second husband, Daniel, a struggling musician, appears in E is for Evidence. In most ways, Kinsey is a loner. She has no children and lives in an extremely compact studio apartment converted from a single-car garage. Her landlord is a young-at-heart octogenarian, Henry Pitts, a retired commercial baker who enjoys creating crossword puzzles; Kinsey admits to having a crush on Henry, but also says he is the closest thing she will have to a father. Henry's family is long-lived, his siblings all being well into their 90s. When not dining on fast food, Kinsey eats regularly at a local tavern, run by flamboyant Hungarian, Rosie, who, in the course of the stories, marries Henry's hypochondriac brother, William. Kinsey has had several relationships in the series, beginning with Charlie Scorsoni, then Jonah Robb, a police officer, and Robert Dietz, another private eye, until the later novels in which she began an affair with longtime friend Cheney Phillips, a police detective. Kinsey remains friends with Cheney after their split, as she did for a while with Jonah, though Jonah dropped out of her life increasingly after patching up his on-off marriage. Dietz on the other hand has lost touch with her completely, although Kinsey still thinks of him occasionally. Having lived for most of her life with very few family members (for most of the series, her "family" consisted of Henry and his siblings, Rosie, and the generous-natured employees in nearby offices), Kinsey received a shock when she found out about the Kinsey clan. When she met cousins Tasha and Lisa, she realized the three are very similar in appearance. Kinsey and Tasha formed a business relationship in M Is for Malice and Kinsey was instinctively attached to Tasha's mother, her aunt Susanna, when they met. However, she has remained reluctant to become involved with her new-found family, feeling that they abandoned her when she was orphaned. However in U is for Undertow she discovers that her grandmother made strenuous efforts to foster her after the accident, which Aunt Gin concealed from Kinsey. Kinsey finally agreed to meet Grand at a family event where her grandmother, now very frail, mistook her for her mother. Love is a Family Affair. Experience it with an audible book. You can even listen for free. A Secret Love. Checking my twitter feed in the morning, lunch time, after work, before bed. This can be daunting and time consuming especially if your follower and following list are long. I have found a way to manage the twitter feed and I want to share it with you. My aim with this post is to show you quickly how to keep up with the can't miss tweets. First click on the name of the person. Next to the follow icon is a wheel. Click on it. Second prompt says add or remove from a list. Click it. Click the icon that says create a list. Give your list a name. Describe your list. Decide if you want the list to be public for all the world to see or if the list is for your eyes only, private. Save the list. Make lists for multiple categories like family, shopping, travel, books and so on. Add tweeters to your lists using the wheel and checking which list you want them on. Now when you want to check can't miss tweets, click on followers. Click lists. 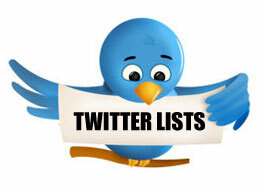 Click the list of tweets you want to catch up on. Voilà, only tweets from that group will stream. Awesome isn't it? Gripping the attention of a reader at the very beginning of a story is key. If the reader isn’t baited and hooked from sentence one, you risk losing an audience. 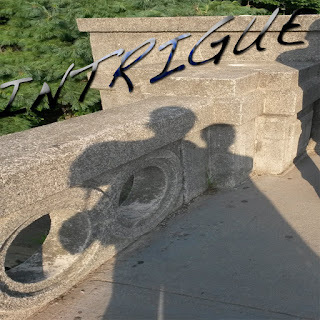 In my book A Secret Love I actually rearranged the chapters for the effect of intrigue. The reader must have a reason to continue. Below is the prologue for a novel I have not yet completed. But, I am sure after reading it, the reader will be filled with questions and flip the page. That’s all you want, a reader to enjoy the story enough to flip the page. Seraphina slumped against the tin partition in the restroom stall, head limp, eyes staring blankly at the floor. Her backpack slid off her shoulder, down her arm, hitting the tiled floor with a thud, awakening her from her trance. She quickly tugged it back to the safety of her grip, hugging it tightly to her chest. She made it. Back to DC. The space was tight but she would make it work to do what she needed to prepare. The wait had been long. Now here it was. The answer to her prayers. Removing her baseball cap, she shook out her wavy black hair, combed her fingers through and fanned it back. She hung her rumpled jacket on the hook followed by her backpack. Metal screeched as the zipper of the backpack was released. Out came a delicately pleated black dress, sheer stockings and black leather three inch strappy sandals. In went comfortable jeans, a football jersey, a pair of socks and tennis. The metal screeched to a close. She stilled herself listening for sounds of commuters. No splashing sounds. No flushing sounds. No chatter. Only stillness. She emerged to the mirror opening the front pocket of the backpack producing a compact. In the mirror the narrow, sagging face of a young girl of 18 speckled with freckles, no glimmer in her eyes, no color in her cheeks peered back. She bit on her thin chapped lips, disheartened. She pressed her eyelids shut and took in a deep breath to clear her thoughts. It was all behind her now and her future was promising, so why the look of despair? Her hands began to work. Black mascara lengthened and thickened her lashes. Black eyeliner lined her lower lids. Desert gold and peach blossom shadowed her lids. Coral gloss shined her lips while rose blush colored her cheeks. Her hands finished with bronzer for a sun kissed appeal. Now in the mirror a young woman of 18, divine, classy stared back. Commuters piled in forming lines. Seraphina waited in the back of the line for her moment. She lost herself in a group as they made their way out. Sunlight warmed her skin and impeded her vision. A pair of sunglasses went from her backpack to her eyes. Gracefully walking with all the refinement of a young beautiful heiress, she stepped to the curb and entered a cab. When I think of the phrase Master Story Teller, Edgar Allen Poe comes to mind. His short stories are especially intriguing. The start of the story ropes you in. As the story progresses and it seems the villain has gotten away with his dirty deed Poe kicks it up a notch, turning up the heat all at once. Take for instance the Tell-Tale Heart, one of my favorites. The evil doer admits to being crazy but he doesn't see it as a problem. After all the disease has sharpened his senses. He methodically stalks his prey, watching him night after night. All because he didn't care for the man's eye staring at him. An eye he described as that of a vulture, pale blue with a film over it. So to rid himself of seeing the eye the man's life had to go. I will admit the deed was gruesome but in Poe's story telling he states the facts without the bloody details. Still you see them. This is how Poe describes the villain's actions- If you still think me mad, you will think so no longer when you when I describe the wise precautions I took for the concealment of the body. The night waned, and I worked hastily, but in silence. First of all I dismembered the corpse. I cut off the head and the arms and the legs.- You saw it didn't you. All the bloody details. The villain had gotten away with murder. Even when the police came a calling. They had not a clue of his wise concealment. He invited them in. Played the gracious host. Touring them around the old man's room. Everything in place. His treasures secure and undisturbed. He was confident his deed was covert. So confident here's how he proceeded- In the enthusiasm of my confidence, I brought chairs into the room, and desired them here to rest from their fatigues, while I myself, in the wild audacity of my perfect triumph, placed my own seat upon the very spot beneath which reposed the corpse of the victim. The officers were satisfied. Nothing amiss. He had convinced them. But...his sharpened senses. The heart likened to the beating of a heart. Yes, Edgar Allen Poe is a Master Story Teller. I won't ruin the ending for you. You can read the complete story here.